So what's the price of firewood? How much should it cost and what should you expect to pay? Well, the answer is.......it depends. 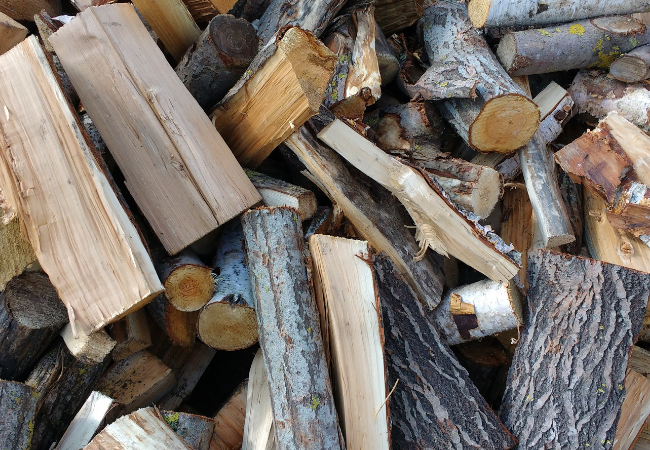 I know it's probably not the concrete answer you're looking for but there are several factors that determine how much you might pay for firewood this winter. The general rule of supply and demand can have a big impact on how much you pay for firewood. It's pretty common for everyone to look for firewood right before the weather turns cold. During these peak times firewood suppliers can sell good quality seasoned firewood at premium prices. To help find firewood at a cheeper price, consider buying it in the spring or early summer before the rush. Your geographic location can also have an effect on the price. Do you live in a heavily wooded area where firewood is easy to come by? If so the price may be more affordable. Firewood is typically sold by the cord which is 128 cubic feet. 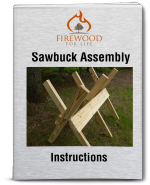 The wood can be stacked in any shape but it's usually stacked 4' wide x 4' tall x 8' long. Here in northern Michigan, the price for a cord of split, seasoned hardwood will cost around $120-$180. The quality of the wood depends on the supplier. At my house, we normally cut our own firewood to help save money. However, I'm always on the lookout for a good deal. Your local paper, Craigslist and other internet sites can be great places to find low priced firewood. Last year, I bought seasoned red oak cut, split and delivered to my house for $100 a cord. I found it for sale on Craigslist. To me, this was a pretty good deal. Does this mean everyone can buy firewood at this price? Unfortunately no. In some areas, the average price can be $200, $300 or even more per cord. The best way to shop for firewood is to understand the average price for your area and use that as a starting point. Once you know the average price a deal will be easy to spot! Overall the price of firewood really does vary. If you don't use much firewood and only need it occasionally, shopping for the best price may not be much of an issue. For those who burn a lot of wood each year, saving a few dollars here and there can really add up. So shop around and see what's available in your area. You never know.....it might be cheeper than you think!